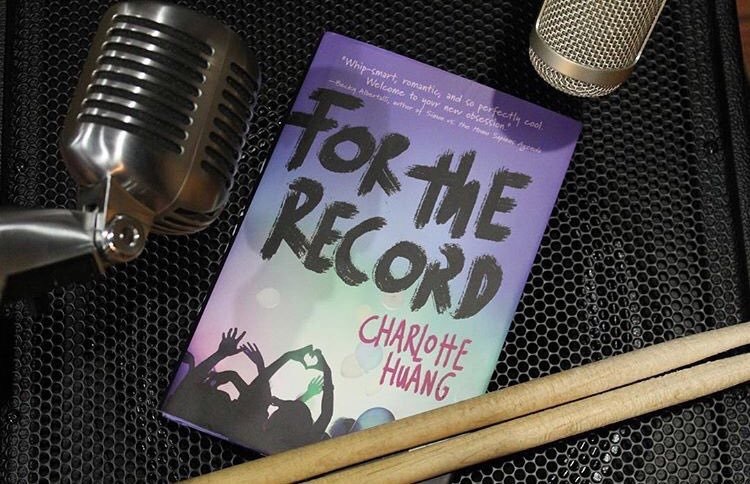 “For The Record” follows Chelsea Ford, a former contestant on a TV talent show. Now, she is the new lead singer of the band ‘Melbourne’, replacing the original lead, Hollis Carter. Chelsea only has the summer tour to win the affections of Melbourne and their fans, or she’s back to her high school in Michigan. Add in her best friend becoming her merch girl, and a famous Hollywood heartthrob becoming her boyfriend into the mix, and she is in for a summer she’ll never forget. I really liked this book. I’m the lead singer and drummer in my own band, so this book is basically my dream experience. My band isn’t signed to a record label so I don’t have any personal experience in that end, but I do help my twin sister write songs for our band (she sings and plays guitar) and sometimes it’s easy but usually it’s not. I could relate to Chelsea in that aspect, that it’s hard to write lyrics sometimes. I just started my senior year of high school so I totally understood the anxiety she feels over the fact that she might have to go back to a school full of people she doesn’t like and people who don’t like her. I felt as though her relationship with the band was very realistic — believe it or not, it’s extremely difficult (at least in my experience) to find new people to add to your band. Melbourne doesn’t have much of a choice in the decision, which adds tension between Chelsea and her new bandmates. Overall, I would definitely recommend this book and read it again, and I can’t wait for more stories by Charlotte Huang. Connect with the author! You can find Charlotte Huang on Instagram and Twitter under @charlottexhuang!